Whenever you are going hunting or simply shooting, you always want to be as precise as possible, with accurate shots and rarely missing, right? However, it’s not that simple. Sure, a magnified sight can be useful, but what if you have to take a quick shot? That’s where red dot sights come into place. They make sure you are able to spot, located and fixate your targets with the red dot, making sure you don’t miss, or simply making your shot an easier one. There are moments where a magnified sight will take longer for you to shoot, whilst the red dot sight makes that possible. However, it’s not just going and buying one, you might want to have the best red dot sight available, and that’s where we want to help you. We came up with, first a list of features you must consider before buying any red dot sight, and then we came up with the best red dot sight reviews, so you can learn a bit about each one and then choose accordingly. 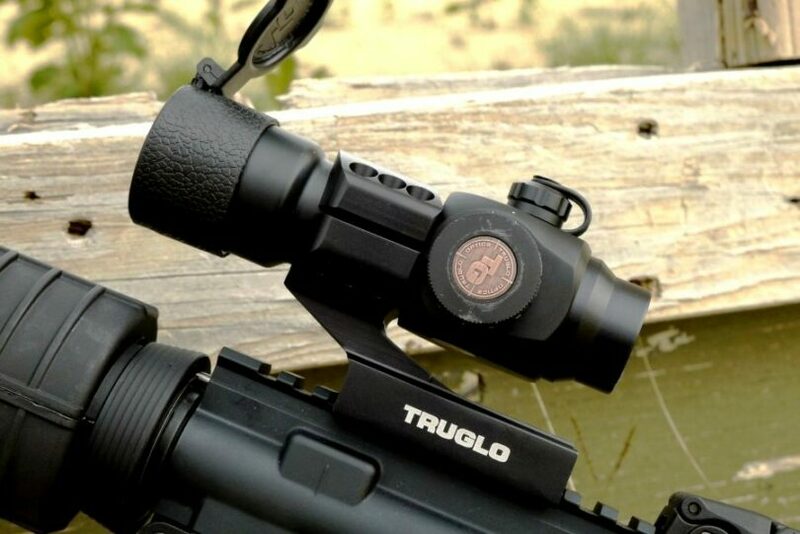 Before you go on to buying your red dot sight, there a few features that you should consider. Not all the brands are the same, of course, but not all the features the same either. Depending on what gun you have, what you use it for, different red dot sights might be suitable, others might not. The first feature to look for is the housing configuration, and this is pretty much the style of the sight. It can be either a tube style or an open style. The tube style is the one that looks like a traditional sight, it is a housing, which enables shooters to apply filters or covers to the lens. For example, if there is bright light or sunlight, you might want to cover the lens a bit to make it easier to see the red dot. An open style housing does not offer the possibility of using filters to have a better viewing experience. 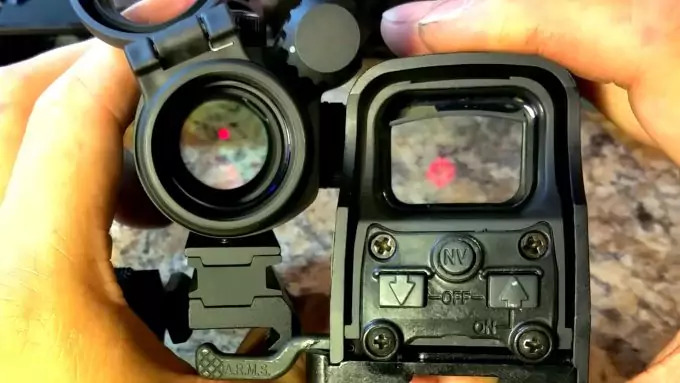 This is a very basic feature, and most of the red dot sights we are reviewing have a reflex projection, but a few can also have holographic projections. In the holographic one, the sight gets illuminated from the front of the lens and the laser light projects onto the viewing window, creating a holographic red dot. 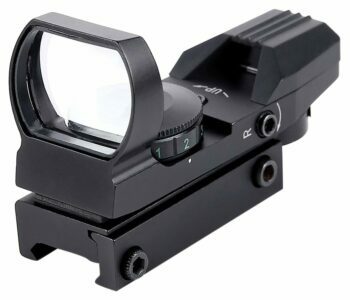 The reflex sight is different, as it reflects an LED light, positioned behind the lens, and into the line of sight of the shooter. 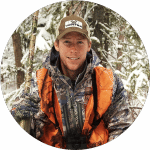 These are far more common not only on the list in this article, but for recreational shooters. The reticle is the dot, which is commonly red, which the sight gives out. Sometimes it can be a pattern, or another color, for example, green, or in other cases it can be a bulls-eye design. Good sights have different patterns that can be adjusted in different colors to suit the shooter and the conditions they will use the sight in. Another important thing to consider when looking at the reticle, is to naturally align the eye to the center of it, so that you can find the target as soon as possible. So think always of a pattern or color that you will quickly detect. Don’t underestimate this feature, as it is one of the most important ones. You don’t want to be in the shooting range or out in the wild, when all of a sudden you run out of battery and no more red dot. Since reflex sights use LED to create the red dot, they consume less energy than holographic sights, and that is positive. However, always turn off the sight when you stop using it. Make sure you pick a sight that is not too heavy for your gun. 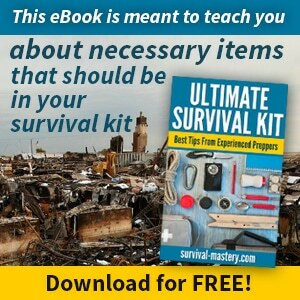 Also, keep in mind how and where you will store it later, as you don’t want one that is too heavy when not being used while you are on a trip or a hike. Normally, the lighter the sight, the better it is for you. Guns, especially rifles, are already heavy by themselves, so adding extra 20 ounces, or simply more than a pound, is already a significant amount of weight. 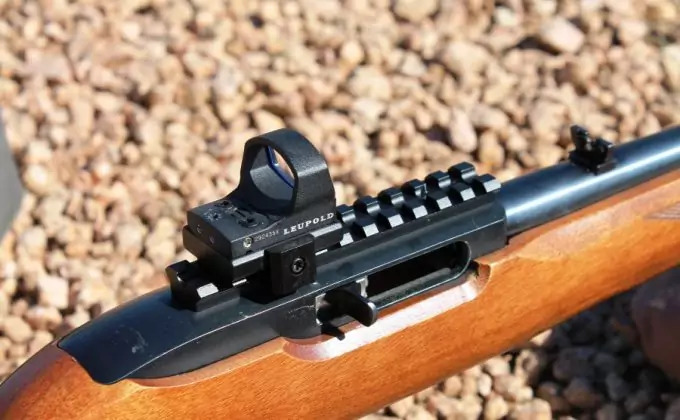 This is fundamental, since not all sights can be mounted into every gun. Different sights will fit or be able to mount different guns, so read the specs before to know if the sight you are going to buy will effectively fit the gun you already have. Most sights will tell you which guns they fit, so as said above, it is a matter of carefully reading the specs and making sure you will not buy one that won’t fit your weapon. It’s time to take a look at the top reviewed red dot sights. The following list contains eight best red dot sights for the money, and we analyzed the most important features, as well as describing what their best attributes are. The idea is that by the end of the read, you will be able to know them in more detail and choose the correct one for you and your gun. 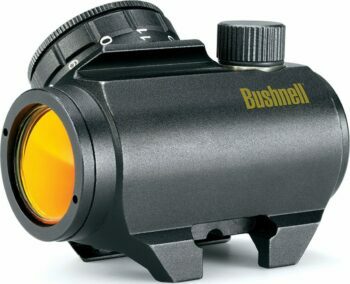 The Bushnell Trophy TRS-25 Red Dot Sight is a great model, very lightweight and ideal to mount easily on Weaver style or Picatinny rails. 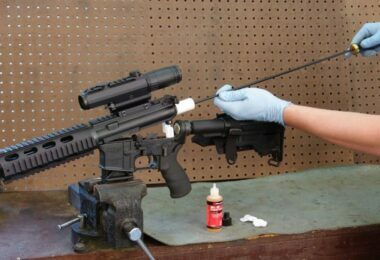 The way of mounting it is by using an Allen style cross screw to secure the sight to the gun’s rail, then the clamping system will provide an adequate strength that will keep the sight securely mounted. 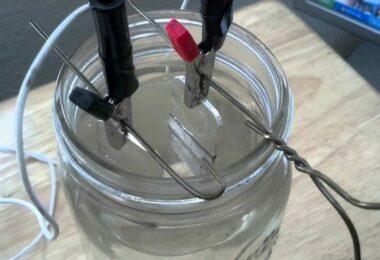 Then, to tighten it, you just need an additional quarter turn. This is a fantastic red dot sight, with multi-coated optics that allows you to have a very bright image even in darker lights. It also comes with a technology called Amber-Bright optics, which will help you distinguish between brown and black colors. The red dot comes with 11 settings, the eleventh being the brightest, and reviewers have even said that the eleventh setting is even too bright and you might never need to use it. Another very interesting feature is that the eye relief is unlimited, and so you can use both eyes open at the same time whilst looking into the sight. This obviously increases not only your accuracy, but also the speed in which you locate the target. Related: The UTG Riser Mount is an excellent addition to this and many other red dot sights, as it will allow you to place the sight higher up. This is probably the cheapest or at least one of the cheapest red dot sights you will find out there. 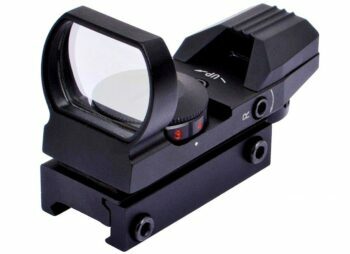 The Feyachi Red And Green Relfex Sight is also a very good model, in fact, it surprises most of the reviewers since they expect a cheap product but it is not. It has a good weight, not too much, that can even be mounted on smaller guns. One of the best features is actually how easy it is to mount it on a Weaver style rail, with windage and elevation adjustments very easily done. Plus, it includes a battery. Speaking of the battery, the only upside this sight might have is that the battery life, according to some reviewers, isn’t the best one. However looking into other features, this is a sight that comes with a solid 33mm objective aperture, as well as four reticles, which will allow you to use it on different scenarios and it will respond very well. 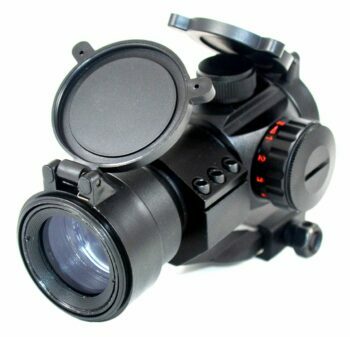 Related: The Outgeek Face Mask is commonly bought alongside this red dot sight, since it is used for paintball, and the sight is used for those purposes too. 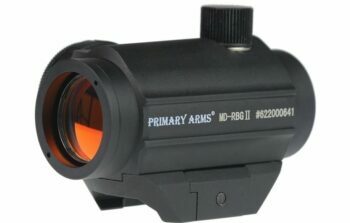 This Primary Arms Micro Red Dot Sight is a very interesting sight, which comes with 12 brightness settings, which aren’t as bright or powerful as other sights, however, good enough not to give out on bright sunlight, they’re still fairly visible. The battery life is fairly good; it claims to have a battery life of over 1000 hours, which is a bit of a stretch. Nonetheless, you are looking at a sight that won’t run out of battery quickly and will be good enough for a long time. The mounting and fitting is also convenient and easy to do. Plus, it is shock proof and it won’t start getting loose after shooting for a long time. It stays put, steady and strong, which is something that many other sights have a problem with. Some reviewers state that this sight has stayed zeroed after shooting over 500 rounds, which is not bad at all. Related: The Primary Arms Micro Dot Mount is a usual partner with this sight. Add the mount to fit other guns or to mount it higher. The Ozark Armament Rhino Red Dot Sight was built to withstand even the tougher conditions. This is a sight capable of resisting a lot, it can be used to shoot many rounds and it will stay put, solid. It is waterproof, fog proof and shock proof. What surprises the most is that the price is extremely affordable for such a good sight. Of course it is not the best of the best, but for the price this sight can take a lot as well as being very reliable. It comes with five brightness levels, both for a green dot and a red dot, and it has a 35 mm objective. It also has a 4 MOA dot for target acquisition, it includes the CR2032 battery that it uses, and it is covered by a 1 year warranty, which is excellent news for a product that comes at a low price. Related: The CVLIFE Tactical Rifle Bipod is a good match for any sight, especially if you use the sights with rifles. With the Bipod you will have the full package ready to go shooting with your rifle. 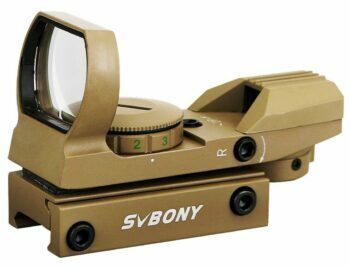 The SBVONY Red And Green Dot Scope has some good features, starting by it being a two-colored sight, with both red and green dots, depending on your preference. It also comes with five levels of brightness that will adjust pretty well to the light conditions. Probably the best thing about this sight is how easy it is to adjust it and mount it. It comes with a built-in mount, which will allow you to mount it on standard rails, with no need to rezero it when remounting it. Then, you can adjust the elevation and windage fairly easily by using 2 Allen wrenches. The only downside of this sight is that it isn’t of the highest quality. Sure. It is very cheap as well as very lightweight, making it easy to buy without expecting that much from it. Nonetheless, many reviewers complained about it not lasting very long, or giving up after shooting quite some rounds. Just important to keep that in mind. Related: The ACCMOR 2 Point Rifle Sling is commonly bought with this and other sights. It is an easily adjustable sling, ideal for close encounter. The Vortex Optics Sparc 2 Red Dot Scope is a higher quality sight compared to many of the others reviewed here. 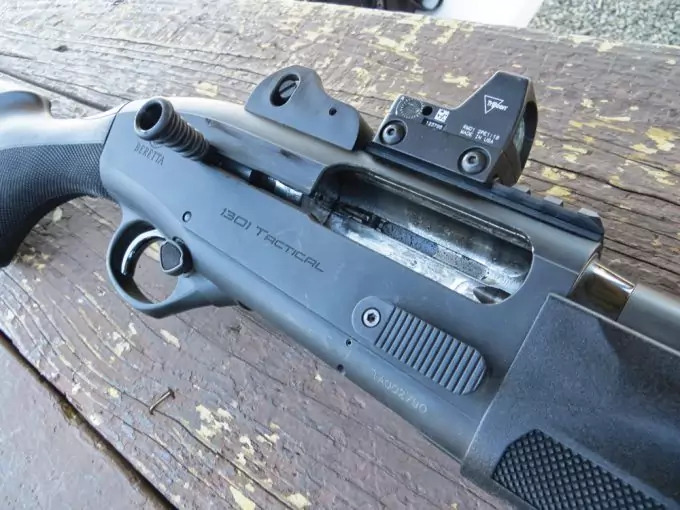 As a matter of fact, just telling by the price you will know that this is a bit more of an advanced sight, maybe not suitable for those starting off. Amongst the features, it comes with a free base, which is very solid and it holds securely in place. It allows you to use both eyes open without any problem. Another cool feature is the fact that it comes with an auto shut down to maximize battery life. It is fully multi coated, with multiple anti-reflecting coatings that will protect you even from the brighter of lights. Plus, the red dot is visible even during very bright lights, and looking through the sight is also easy, even on darker settings, thanks to the brightness. It mounts on standard Weaver or Picatinny bases, although the base it includes is not for Picatinny rails, but for Weaver, so take that in mind. 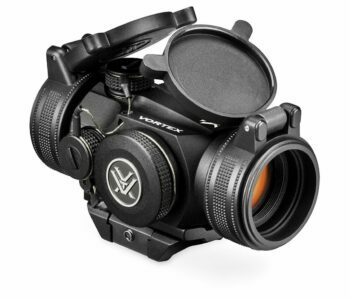 Related: The Vortex Flip Cap Optic Cover is the ideal item to buy alongside the sight. 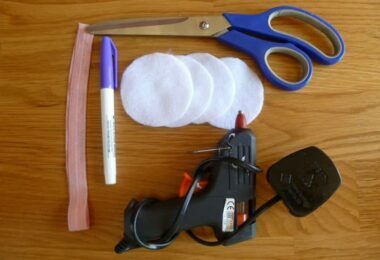 It will allow you to cover it when not in use and protect it from dust or any other possible damage. Specific features: Unlimited eye relief, waterproof and shock proof, 1x magnifications, 1.3 inches of aperture, 1 MOA. The RioRand Generic Holographic Sight is the only holographic sight from the entire list. Remember that there is a difference between both reflex and holographic sights. The latter ones have a sight, which gets illuminated from the front of the lens and the laser light projects onto the viewing window, creating a holographic red dot, or in this case, red or green dot, depending on your choice. This particular sight is a good one for such an affordable price. 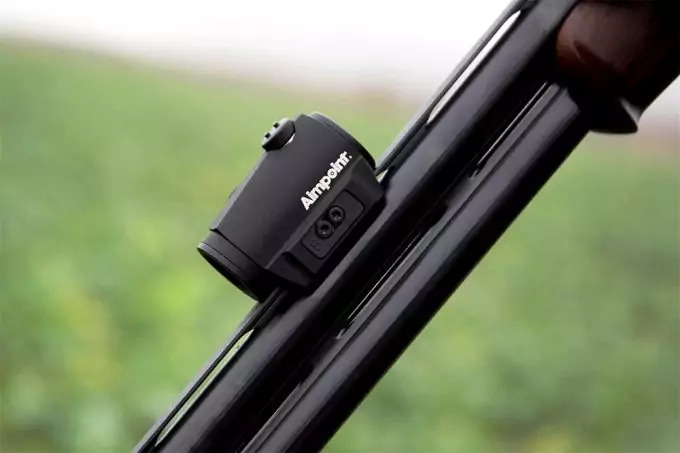 It is made with high-quality aluminum alloy, it is fog proof, water proof, and fog proof, ideal for hunting conditions, as it was inspired by military sights. 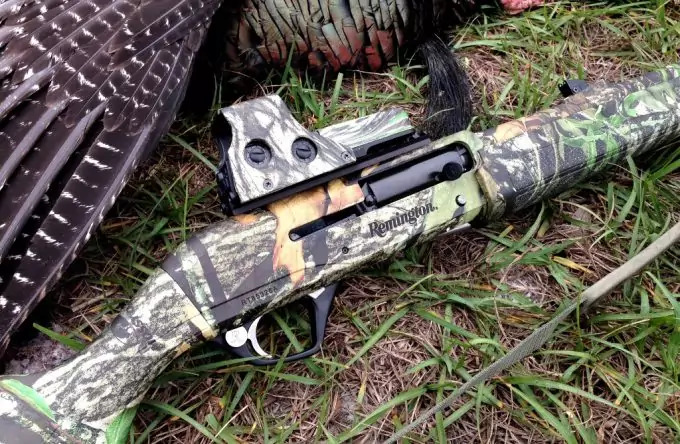 It comes with unlimited eye relief, and it comes with a multi-coated lens, as well as it is very easily mounted on Weaver or Picatinny rail bases. The only downside is that the reticles, according to a few reviewers aren’t very clear. In fact the reticles were defined as “blurry”, which is not the best, but at the same time some flaw can be expected for such an affordable price. Related: The Aim Sports Lens Protector is a good item to have with this and any other sight, and it comes with two interchangeable acrylic shields. 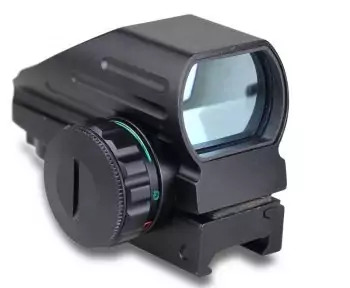 The Onuhu Red And Green Dot Gun Sight is a surprisingly interesting sight for such a low price. Not only does it offer two different colors of dots, to suit your preference, but it comes with four different patterns of reticles. This makes it even more flexible, or suitable for different shooters. It comes with a built-in mount base that suits standard bases and there is no need to rezero it when remounting the dismounted sight. It is also parallax corrected and offers unlimited eye relief, with an Allen head screw type to adjust the elevation and the windage. All of these features are very standard, but still solid on this specific model. The only downside is that this is not the most durable sight of them all, however you can expect it from a lower priced product. 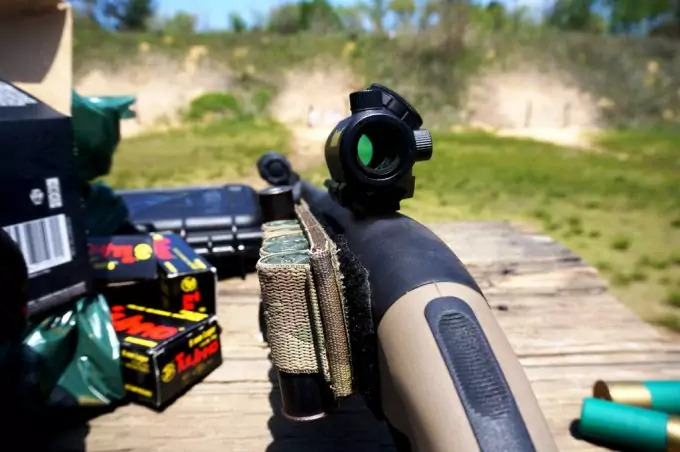 It cannot take as much as other, and after firing a few rounds with a strong rifle, reviewers have said that either the lens flew or blew out, or it simply stopped working. Related: The Monstrum Tactical LED Flashlight is a good addition for those who are passionate about rifles and shooting in different settings. Use this flashlight to further improve your view in the darker settings. Red dot sights are a very handy partner when it comes to shooting, either out in the wild or in the shooting ranges. A good sight will help you locate a target pretty quickly and take a very accurate shot. 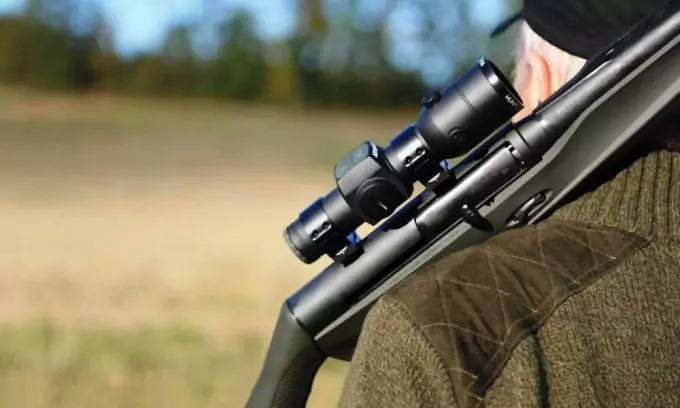 It might not be the best for very long-range shots, for those you need magnifying sights and a lot of time and patience, but red dot sights are just fine for recreational shooting with many guns and rifles. We hope that you understood how different features differentiate a red dot sight from another. 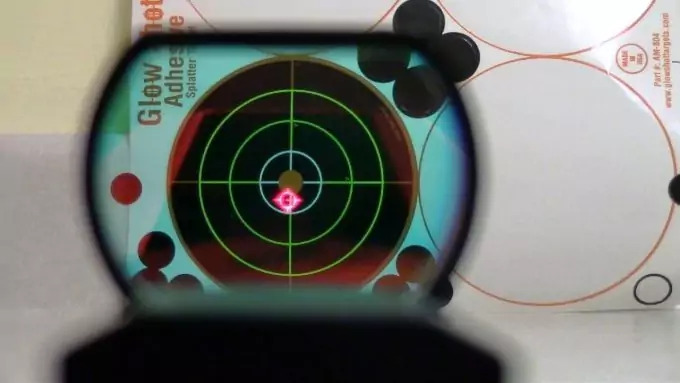 How the reticle or the projection can make a very big difference on locating the target in time, or being able to see it based on the different conditions. All features must be carefully analyzed before buying one. Have you made up your mind? Is there any red dot sight model we might have left out? We would like to hear your opinion or questions, so if you have any, please write them into the comment section below and we will get back at you soon.